Cosmopolitan, sporting and innovative, Tignes can offer you the unique experience of a different way of living in the mountains. Purchasing an apartment in Tignes is your guarantee of an investment in a living and dynamic resort. If you love your skiing, you will appreciate being able to ski all year round! You can purchase your apartment in a dynamic resort. You can purchase your MGM apartment in Tignes and enjoy a change of scene that is both authentic and up-to-the-minute. 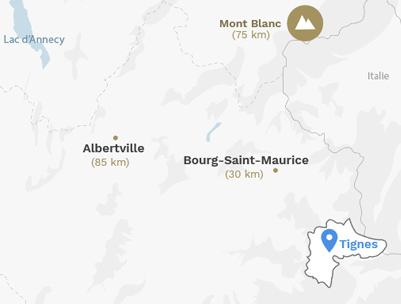 Tignes 1800 is the new village in the resort and already has a selection of neighbourhood shops. Gastronomic discoveries, cosy atmosphere or party nights... there is something for everyone!